San Antonio - Elmore Sports Group, the ownership group of the San Antonio Missions was named the 2018 Organization of the Year by Ballpark Digest yesterday. 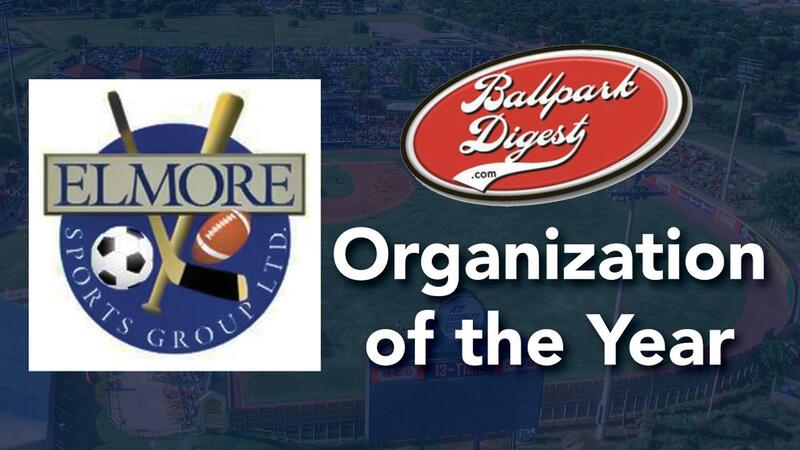 Ballpark Digest selected the Elmore Sports Group for this award due to the collective success of the seven teams it owns as well as guiding three different franchise shifts. San Antonio has been under the direction of the Elmore Sports Group since 1987 and has overseen the Missions capture six Texas League championships. The Missions are one of seven Minor League Baseball teams and one hockey team owned by the Elmore Sports Group. The Elmores also run the Amarillo Sod Poodles (Double-A), Inland Empire 66ers (Advanced-A), Lynchburg Hillcats (Advanced-A), Eugene Emeralds (Class-A Short Season), Idaho Falls Chukars (Short Season Rookie Level), and the Colorado Springs Sky Sox (Class-A Short Season) in Minor League Baseball as well as the East Coast Hockey League's Utah Grizzlies. The Elmore Sports Group has overseen the transition of three franchises heading into the 2019 season. The Missions are making the jump from the Double-A Texas League to the Triple-A Pacific Coast League while the Colorado Springs Sky Sox are leaving the PCL to replace the Helena Brewers in the Pioneer League, and the Amarillo Sod Poodles are joining the Texas League. The 114th season of baseball in San Antonio begins on Thursday, April 4, 2019 as the Missions begin their new era as a member of the Pacific Coast League and take on the Oklahoma City Dodgers. Season ticket memberships are available now by calling 210-675-7275.